SLOW DAY AT THE COAL FACE. Actually, it would be more accurate to say that I’m working a new seam.Hoping for the motherlode, but hitting deadlines! To keep the faith, I give you a small amusement and something else….your challenge, should you accept it, is to decide which is which! The difficulty, quite plain in either case, Is finding the key that brings it back again. 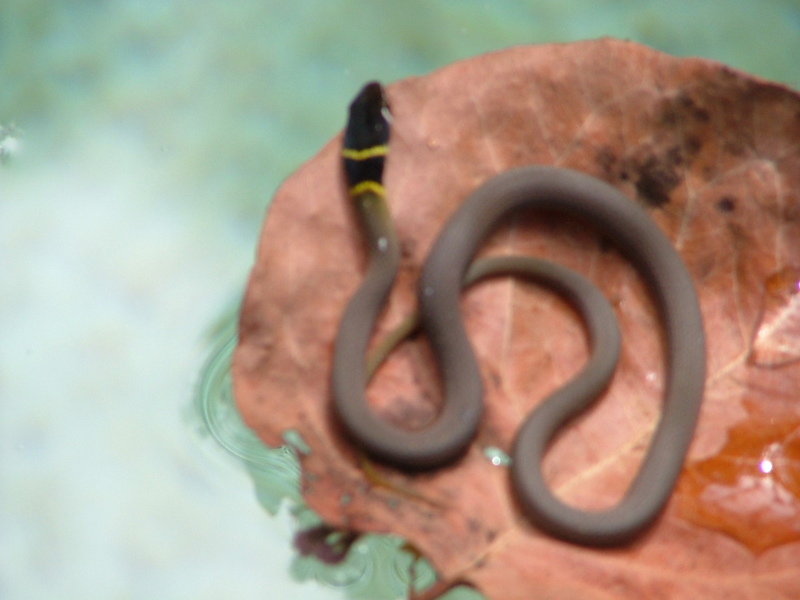 In a friend’s pool, Cairns. Yes, this blog suffers from abandonment. If I viewed blogging as a “job” I might write more regularly. But then it would not be the fun that it (mostly!) is. Who’s up for another little guessing game? Nobody? Too bad, you’re going to get one! Not a spider this time. Mind you, if you’ve been into the funny stuff you might see spiders this colourful! Leave your guesses in the comments and I’ll post the answer on Friday. We’re doing a little revamping Chez Dinahmow. No major building work, but a concerted effort to tidy some of the muddle. And, believe me, it is a veritable “bugger’s muddle.” Too many things with no proper home. I mean, c’mon, who would collect beautiful art and keep it packed away in boxes! Yes, guilty, as charged. 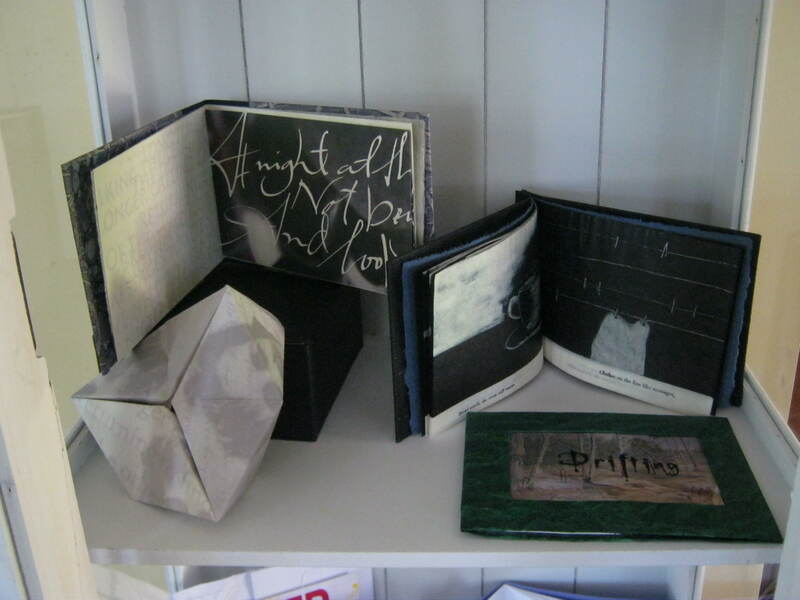 But now my artists books have their very own home. Our floor has one or two uneven spots (we know this from the highly technical method of ball-rolling) and the cabinet is at present chocked with some of Sporran’s ripped-up cardboard. and some from last year’s exchange. 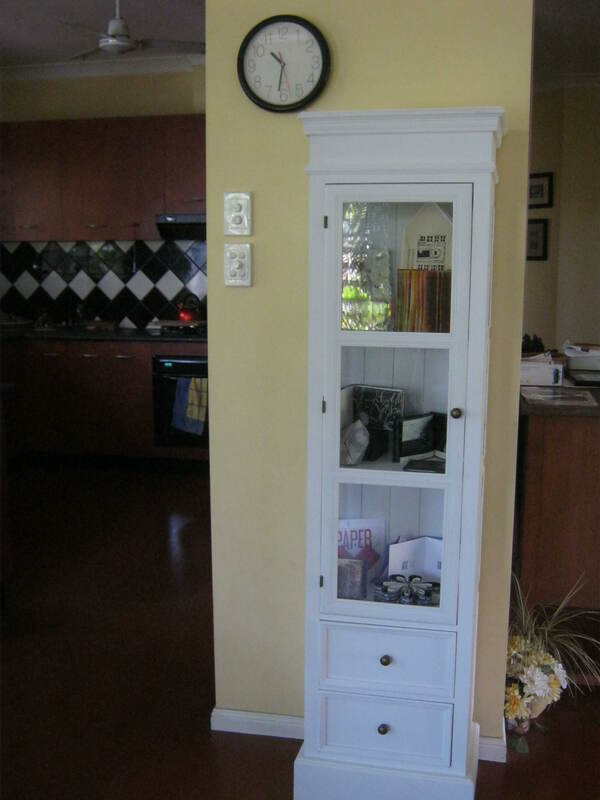 I’ll have to rotate things as this cabinet is nowhere near big enough for everything. And I’ll need to devise slightly more professional mini-plinths than the current plastic kitchenware! But it is lovely to see my treasures. 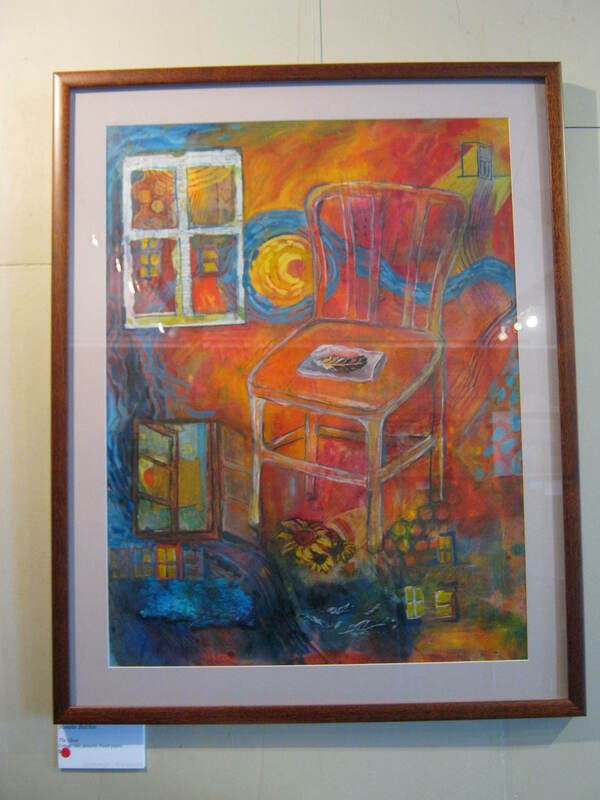 In case anyone is wondering what has happened to the print that used to hang in this spot… it is in the queue of paintings, prints, photographs waiting to be re-hung. The framing tape on some needs to be replaced and there are new works to be hung. Now, because Dinah doesn’t like to go out on a sad note and because we all need a laugh and, most importantly, Dinah needs a drink…here’s that great comic duo getting up some pretentious noses. Enjoy! * A term coined by a former Parks Ranger for anything run over on our roads. But I got the recipe for you! What else tas’es like cheecken? Well, rattlesnake, according to various sources. Years ago, a friend of mine was travelling across America (Route 66, if you must know!) and he spent some time staying with a relative somewhere in the South West. 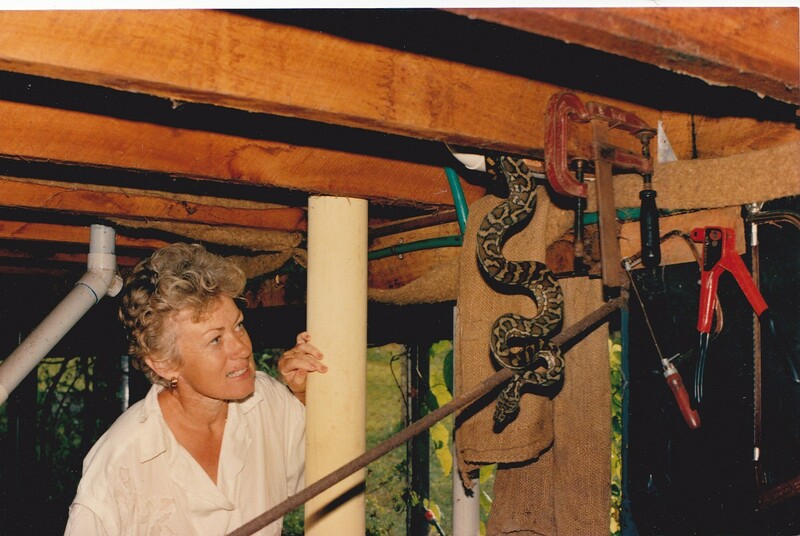 The cousin came into the house one day with a rattler dangling over his gun barrel. “Dinner!” he said. And, damn! if it didn’t taste like chicken. Cat also, apparently, tastes the same. Back in the 50s, when Davy Crockett was all the rage, the owner of a Chinese restaurant was prosecuted for having cat meat (masquerading as chicken!) on the menu. He was caught when police tracked a gang who’d been stealing cats for the Davy Crockett caps trade. Apparently, they had a nice little earner on the side! 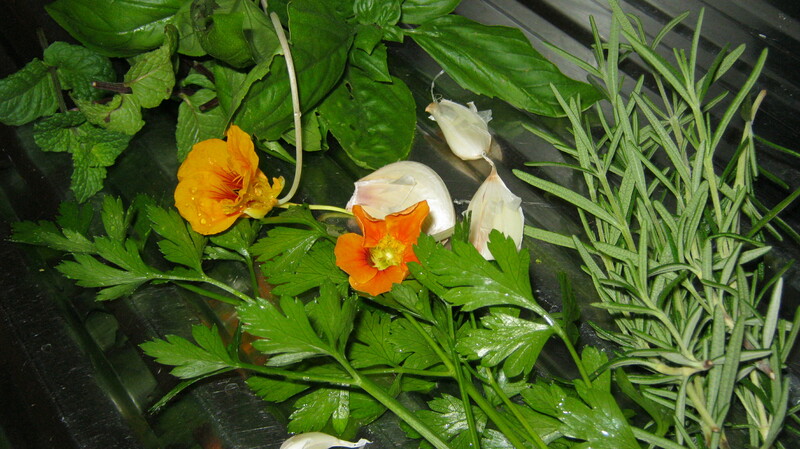 Rabbit (not wild ones) is another chicken taste-alike. 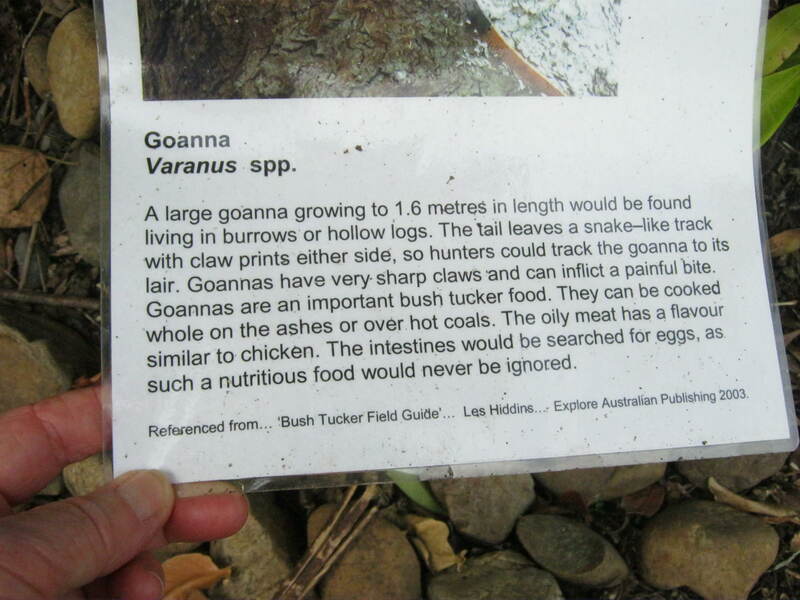 And when I was a kid I told people that huhu grubs (larvae of Prionopus reticularis) or pepe tunga in Maori were like chicken. Mind you, if someone had told me they tasted like peanut butter I’d never have eaten them! I hate peanut butter. Just enter huhu grubs in Google Images and see what’s there! Back again! Had you worried, did I? 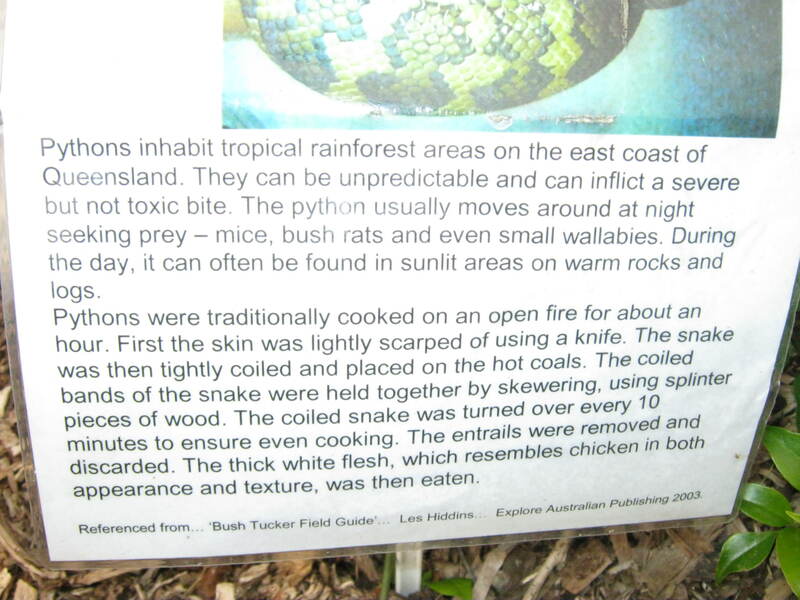 You thought I was going to forage in the mangroves for a dinner-sized crocodile (another that “tas’es like cheecken”)? At this time of year there wont be any small crocs around. But that’s OK as we’re having pasta tonight! 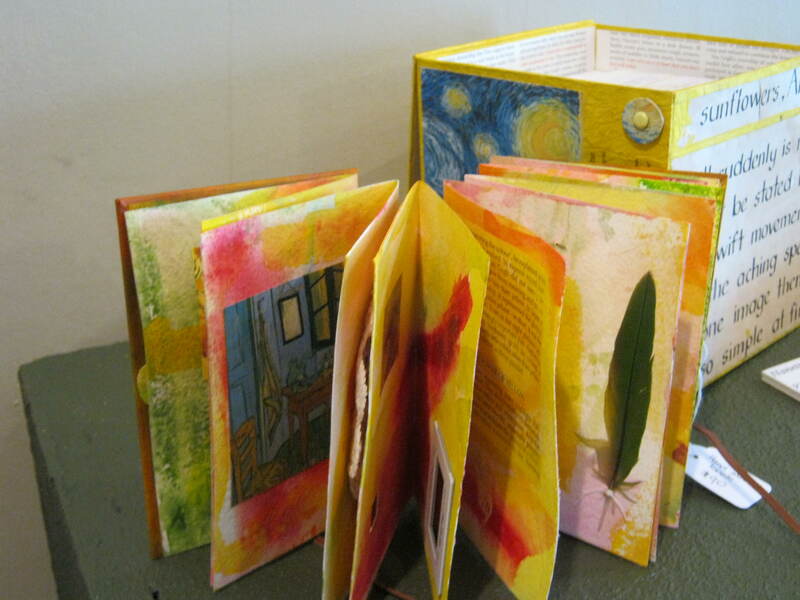 And now for something completely different….a book! This is mine, as in: I bought it, not made it. 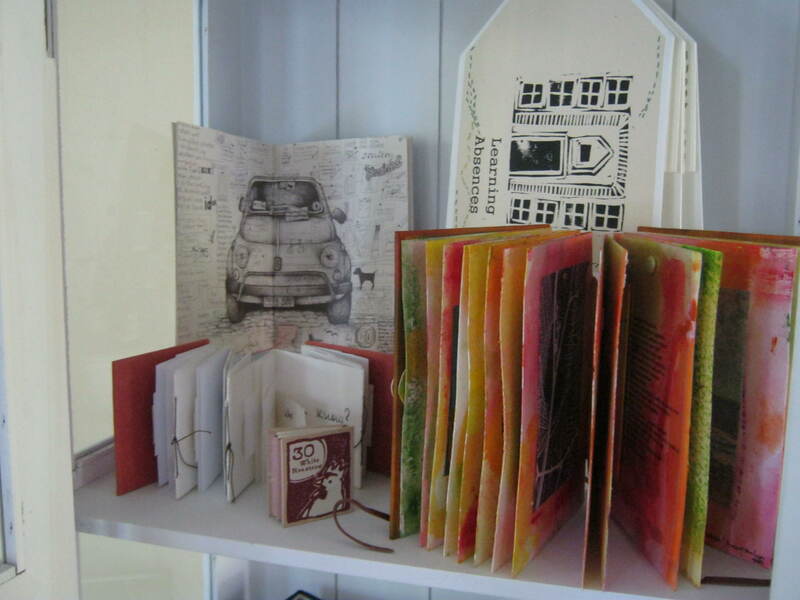 The maker is Nanette Balchin, an artist from Yeppoon. Sorry, she does not have a website, but I’ll show you some more photos next week. 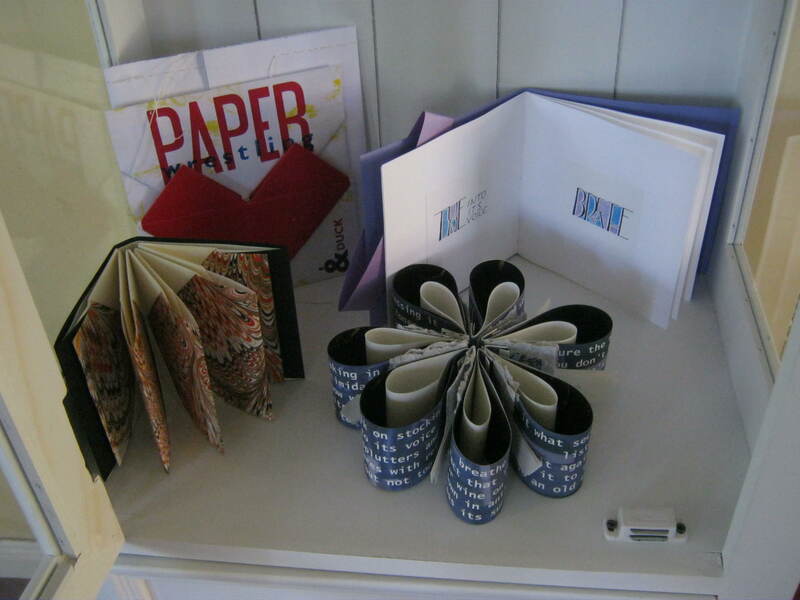 The book is still in an exhibition, red-spotted until I can pick it up. But here’s another piece of Nanette’s. A painting inspired by Vincent van Gogh. No, I didn’t buy this, but someone did. Actually, if we’re going to be all pedantic, it was the night before last. Well, from the dining table it looked like a possum dangly bit! 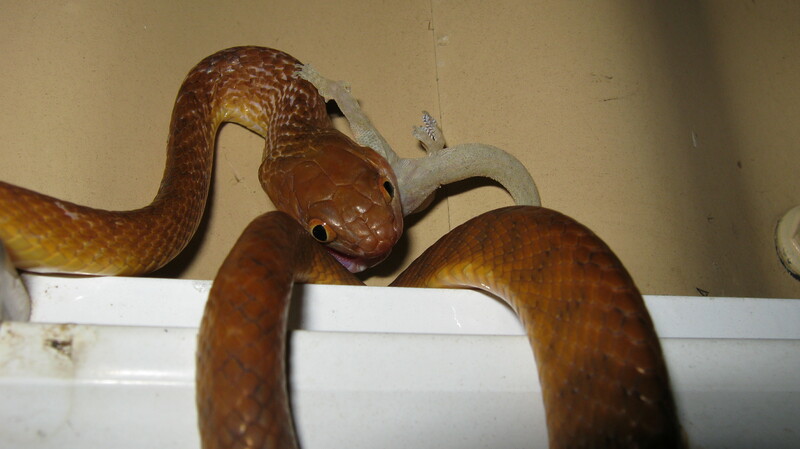 But it was a brown tree snake feasting on a gecko. 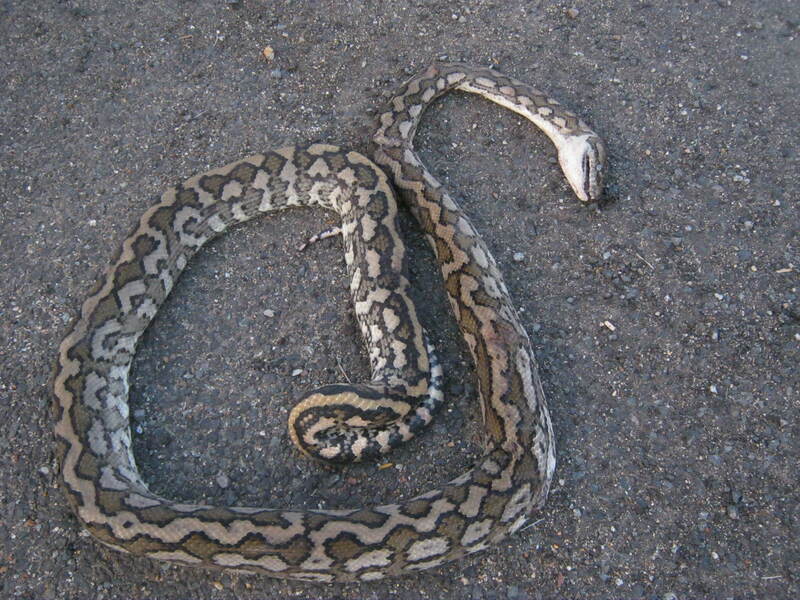 OK…all you ophidiophobes can come back now! I’m glad a took a picture cos this rain may put paid to the poor things! At this time of year I like to rummage around in the virtual bargain bin and find gifts to suit my readers. But, as you know, I’m a tad preoccupied this year. So I’m letting you do you own shopping. Please help yourselves to a card. Happy shopping! And thanks for all the comments,guys. My next post will be from the U S of A .Wheee! IT’S NEVER QUIET ON THIS FRONT! Great drama here yesterday…Geiger and Sporran , mainly Geiger, I think, had a snake. They’d brought it indoors and I only knew when I went out to the kitchen with my empty coffee mug! 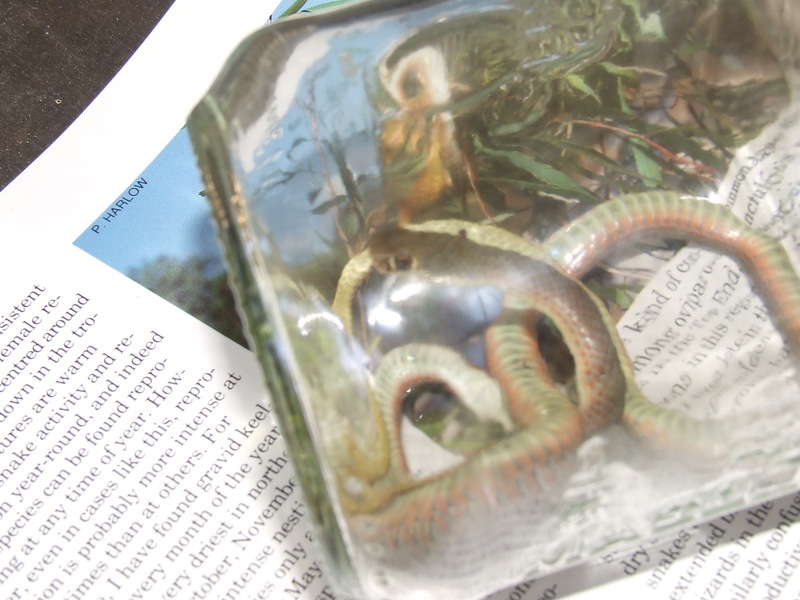 I put it in a jar and paged through my snake books. 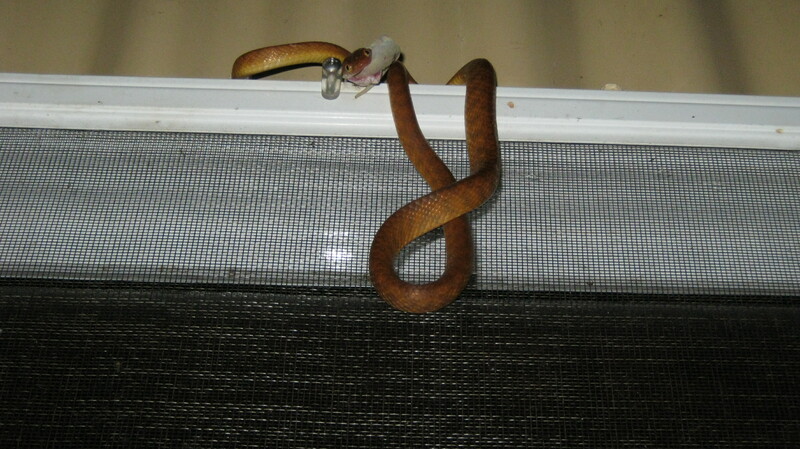 I think it was a brown tree snake…except that they are nocturnal and have smaller eyes. So it might have been a yellow faced whip snake (my best guess)…except that it didn’t have the typical “comma” at the corner of the eye. It might have been a black whip snake…except that it wasn’t black. It might have been a young Eastern Brown…except that it looked too long and slender. What I can tell you is that it was damn’ hard to photograph inside a glass jar! For those of you who may not know – identification is by a sub-caudal scale count. This is all very well if it’s a cute lil grass snake, or one of the least harmful ones. But I am not going to count the number of scales on the arse-end of any snake. Are we clear on this? Good! And why was this such a drama? Because I was “home alone” as The Man had gone a-Mustanging. If I’d been bitten there was no one to apply a pressure bandage, ring the ambulance and hold my head over a bucket. 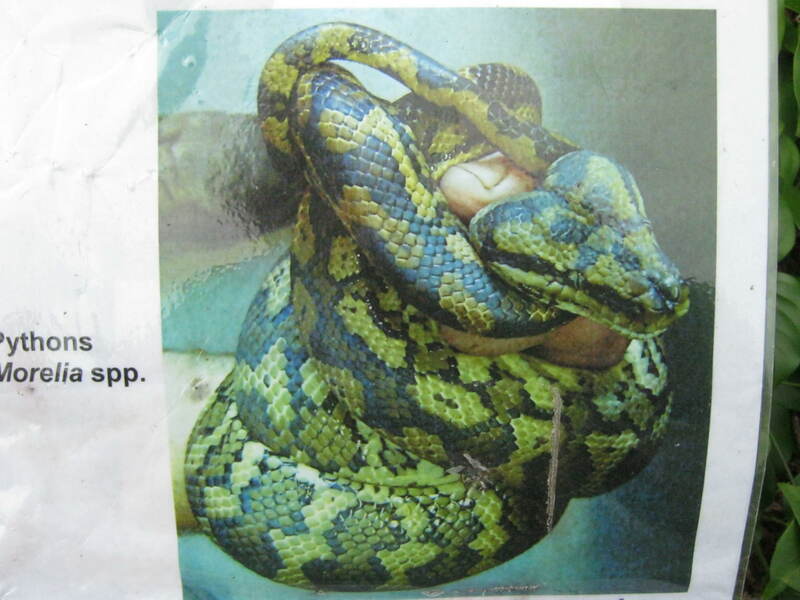 What happened to this snake? It was released, later in the afternoon, down at the end of the street, in some weedy scrub by a drain. I do have a glass of sparkling Chardonnay from South Australia. Some fetta and tomatoes, with snipped fresh herbs. Shall I get another glass out…?